Compare the best online dealer prices before you buy Mexico Gold 2 1/2 Pesos coins. The Mexico Gold 2 1/2 Pesos coin contains .0603 troy ounces of gold bullion. The melt value of one Mexico Gold 2 1/2 Pesos coin is $77.09 based on the current gold spot price. The average price for Mexico Gold 2 1/2 Pesos for the past 7 days is $88.96. 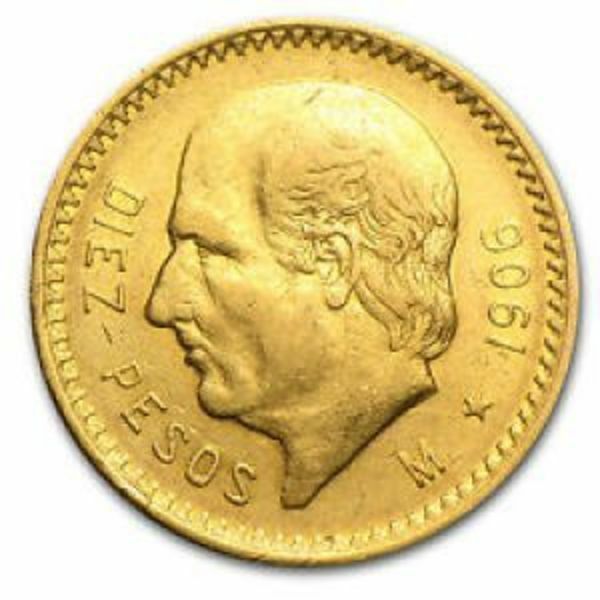 Buy Mexican 2.5 Peso Gold Coins as an inexpensive way to add high quality gold bullion to your stack. 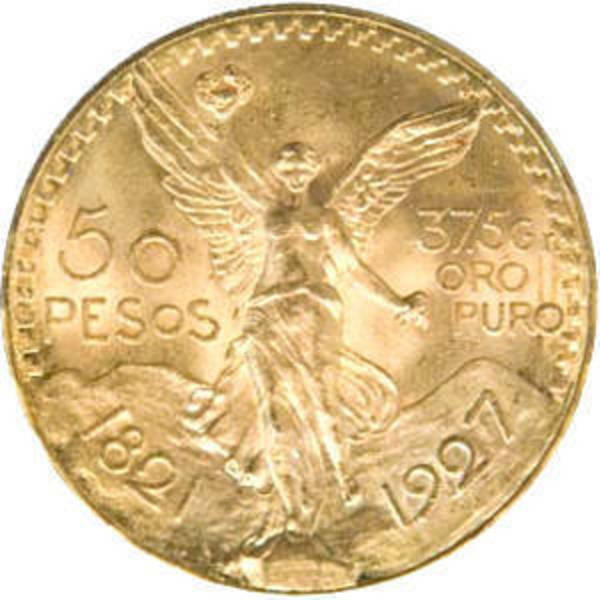 The Mexican 2.5 Peso Gold Coin contains roughly .0603 troy ounces, roughly 2.0833 grams of gold bullion. The premiums on fractional gold like the Gold 2.5 Peso Coin can appear higher when comparing with buying a full ounce gold coin. Franctional gold often times carries a higher premium per ounce than buying full ounce coins. In many cases you can recapture the premium when it becomes time to sell. Dos Y Medio Peso Mexican Gold Coins were produced by the Mexican National Mint, La Casa de Moneda de Mexico. 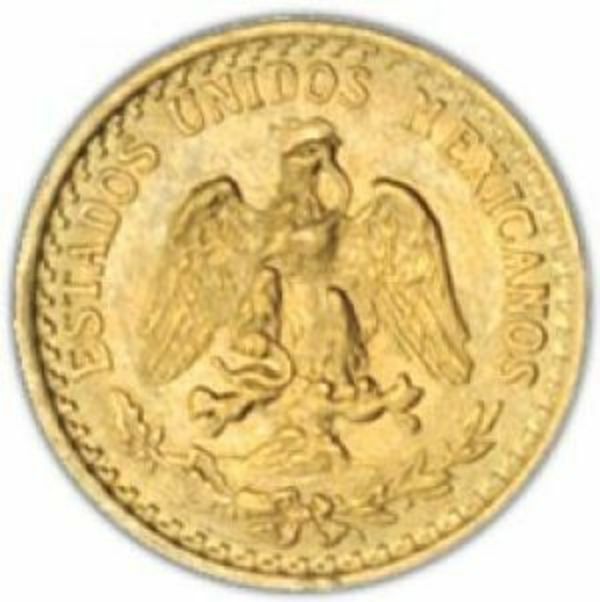 The Mexican 2.5 Peso Gold Coins were produced from from 1918-1948. Most of the coins on the market that are sold as 1945 2.5 Peso Gold Coins are restrikes. Many of the restrikes were produced between 1951-1972 and again in 1996. 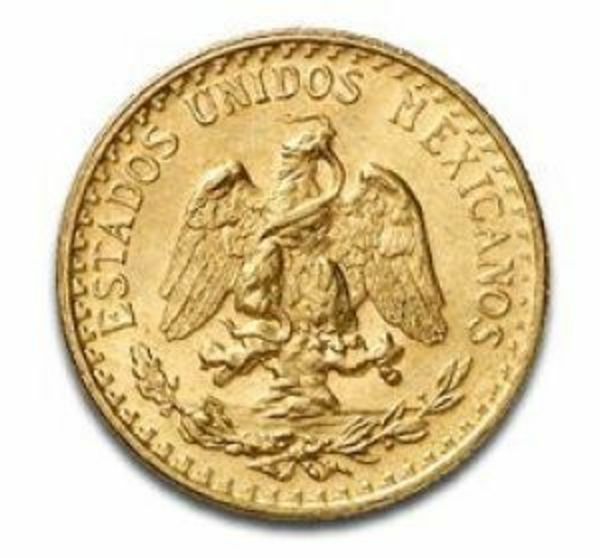 The Gold Mexico Dos Y Medio Pesos is the second smallest gold bullion coin from Mexico as well as the second smallest denomination. These are a very popular gold coin for investors and stackers due to their outstanding bullion value and are an affordable and inexpensive way to enter into the market. 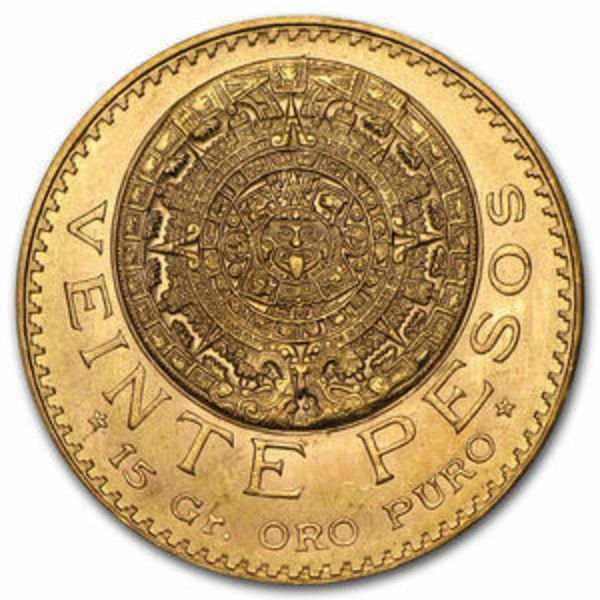 The Dos Y Medio Pesos Mexican gold coin is one of the cheapest ways to invest in low-premium fractional gold coins. FindBullionPrices.com searches over 30 national, reputable and trusted bullion dealers to find the lowest prices on Mexico Gold 2 1/2 Pesos and other Mexican Gold Pesos products. The prices on our site for gold bullion and coins are updated hourly and adjusted for gold spot price. We give you the tools to compare gold prices from reputable and trusted bullion dealers. Compare Mexico Gold 2 1/2 Pesos prices across bullion dealers to pay the lowest price. We will help you find the best prices for Mexico Gold 2 1/2 Pesos when you're ready to buy. Search for more gold coins from Mexico.